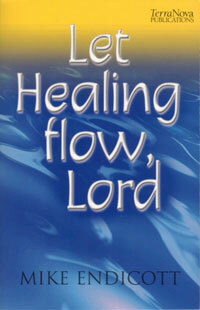 Let Healing Flow, Lord tells the amazing story of a vision for Christian healing ministry. Mike Endicott, “Let healing flow, Lord” Available for purchase from all good bookshops. Let Healing Flow, Lord tells the amazing story of a vision for Christian healing ministry. The Reverend Mike Endicott traces the unfolding of that vision – which he describes as being like a ‘jigsaw puzzle’. Gradually, the pieces begin to fit together as God’s plan unfolds. The fruit of this has been the founding of the Order of Jacob’s Well – an order of Christian healing under the oversight of the Archbishop of Wales, which seeks out, trains and encourages those called to the healing ministry of the Church – and the setting up of ‘Wells’, centres where healing prayer takes place. God has touched countless lives through this remarkable ministry and the faithful obedience of Mike Endicott and his team.